Everything these days charges something else, from flashlights to hand warmers and even camp stoves. 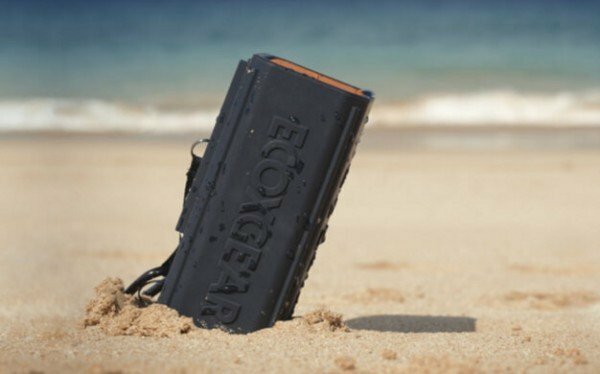 So it’s no surprise that ECOXGEAR’s EcoPebble Powerbank with bluetooth speaker can charge multiple electronic devices, but what’s remarkable is the length of its battery life. With a 10,000 mAh lithium ion battery, the EcoPebble Powerbank boasts 50 hours of playing time on its built-in 5W speaker. That’s one of the longest playing times for any portable bluetooth device on the market. With the EcoPebble Powerbank you can charge cell phones, tablets, cameras and more even multiple times. The device is built rugged, coated with hard rubber and capable of withstanding some rough treatment. You can mount the device anywhere using the built-in mounting screw on the bottom, which fits in standard tripods and other universal attachments. The device is also waterproof, but be careful because it doesn’t float unlike the company’s EcoCarbon for $100. But while the EcoCarbon has better speakers (two 8W speakers), it has far less battery life, rated for just 12 hours of play time. This sturdy device does comes with some noteworthy drawbacks, however. 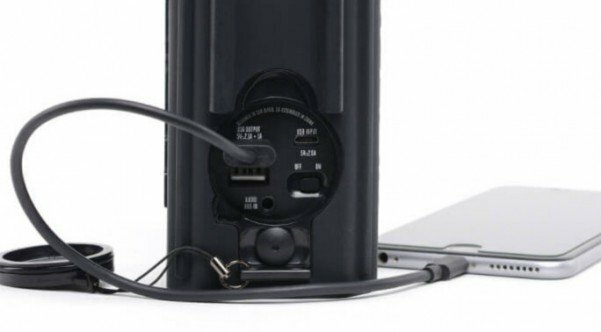 For starters, the device is heavier than most portable speakers, but that’s because it houses above-average lithium ion batteries. While the speaker is good, it is the same 5W mono speaker in the EcoPebble stand-alone for $60. It also has a built-in flashlight, which is more as an extra as something of a backup light rather than a flashlight you would actually use just because the housing is a little large. The device measures 6.4 inches long by just under 3 inches square and weighs 1.4 pounds. All-in-all, the EcoPebble Powerbank is a great option if you’re looking for a great sounding speaker that can also serve as a reliable backup power source.